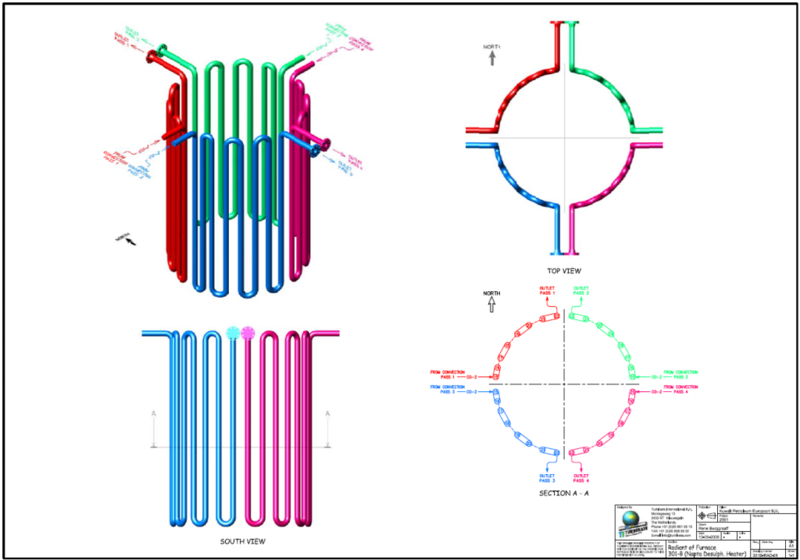 Advice and drawings – Turbinate International B.V.
Turbinate can also provide 3D drawing of existing furnaces (general arrangement of the coils). These drawings can be used for many different purposes, for example as instruction drawing during a turnaround. These drawings can be delivered on paper or digital format. Also whenever you need advice on how to adjust a furnace to make it piggable we are more than capable and willing to advise you and provide you with the drawings needed to make these adjustments.